Could your healthcare facility cope with a fire? How sound are your fire detection and protection systems? Is your evacuation plan capable of safely and quickly moving out less mobile patients? Would your staff know exactly what to do in an emergency situation? With intricate medical equipment and often immobile residents, fire protection solutions for the healthcare sector require both foresight and technical knowledge. 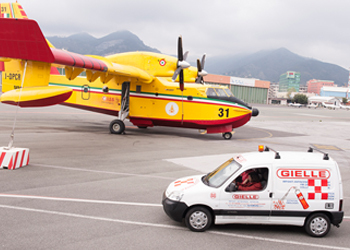 For over a century Gielle has specialised in providing these solutions. As one of the largest fire protection providers in our region we can provide dedicated, specialist teams for design and installation, maintenance and technical support, as well as services ranging from engineering advice to fire training and evacuation plans. 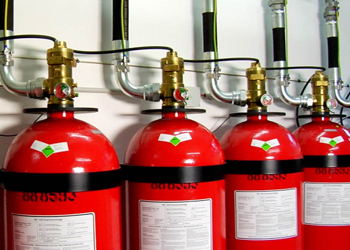 We can custom design fire systems to match your needs and your budget or refurbish and upgrade your existing system. Having serviced and functional fire equipment on hand when and where you need it can mean the difference between a minor blaze and a devastating full scale fire. From portable fire extinguishers to fire proof safes, Gielle offers a comprehensive range of top quality fire equipment that gives you a powerful first line of defence against fire. For more information please visit our Fire Extinguishers, Hose Reels & Cabinets, Fire Blankets, Safes & Fire Resistant Cabinets sections. Our fire detection systems provide very early detection of even slow smouldering fires and can be configured to detect carbon monoxide (CO), smoke and heat. Sensitive analytic tools mean early detection that is critical in a sensitive IT environment. For more information please visit our Alarm and Evacuation section. Like most healthcare facilities, with so much sensitive electronic equipment around, when fire breaks outs sometimes the solution can be as damaging as the fire. Gielle’s Novec Extinguisher uses a unique extinguishing chemical to powerfully fight fire, limiting damage to equipment and data when used in accordance with instructions and training. The result can mean lower repair bills and less impact on business and a reduction in repair times. For more information please visit our Novec Extinguisher section. Inergen Gaseous Systems is designed not to have an ill effect on people or the environment and its components are naturally occurring atmospheric gases. 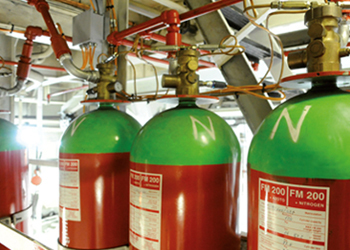 Inergen is the fire suppression system of choice for areas that contain high value or mission critical assets. For more information please visit Inergen Gaseous Systems section. Fire, bomb threats and explosions, gas leaks and earthquakes. Would you know what to do if any of these emergencies occurred in the next 10 seconds? Gielle’s range of fire safety training and emergency training courses give your staff the skills and confidence to make the right decisions and act quickly in the event of a workplace fire. Gielle is a Registered Training Organisation (RTO) with certified trainers who can confidently guide your staff through practical theory, and unforgettable hands-on, learning experiences. For more information please visit our Fire Safety Training section.